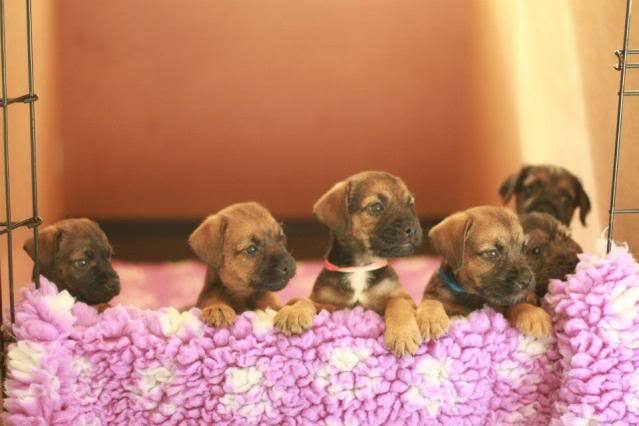 Border Terrier X pups, ready in 2 weeks, rehoming in Kent only. 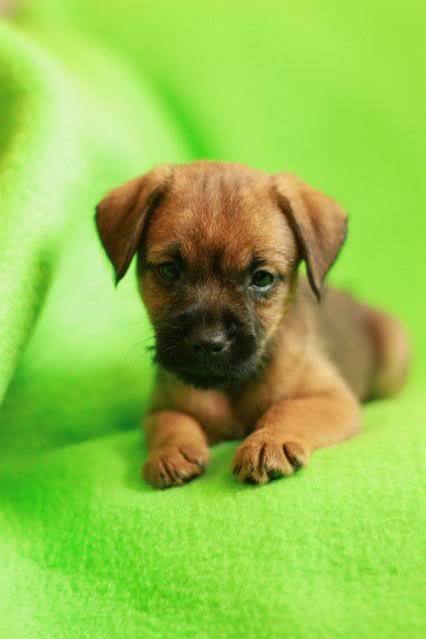 Early July we took a border terrier into We Help Any Dog rescue, and a couple of weeks later it transpired she was pregnant. 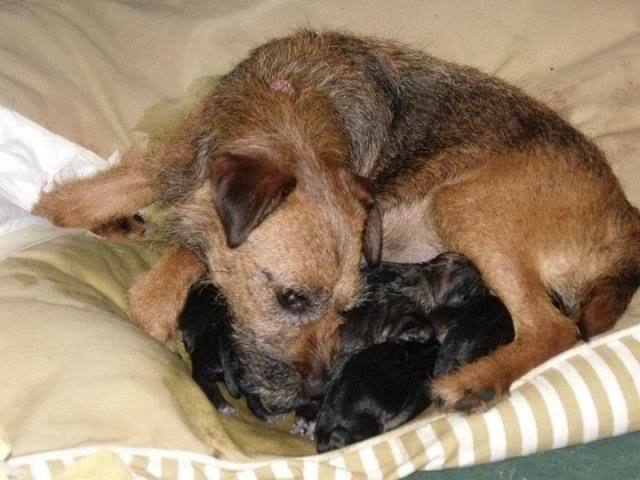 She gave birth to 8 pups (2 female, 6 male) on 3rd August 2012. 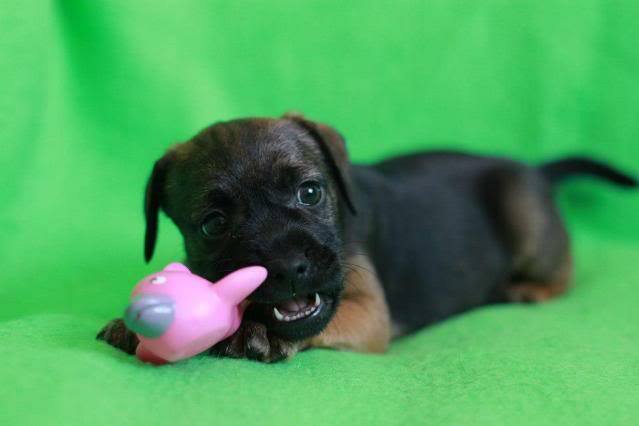 We had already found a home for Mum, Lottie, and she will be going to that home as soon as her work as Mum is completed. Lottie is a small girl, we have no idea who daddy is, but knowing where she came from we think it might be a cairn or another terrier type, or a miniature poodle. 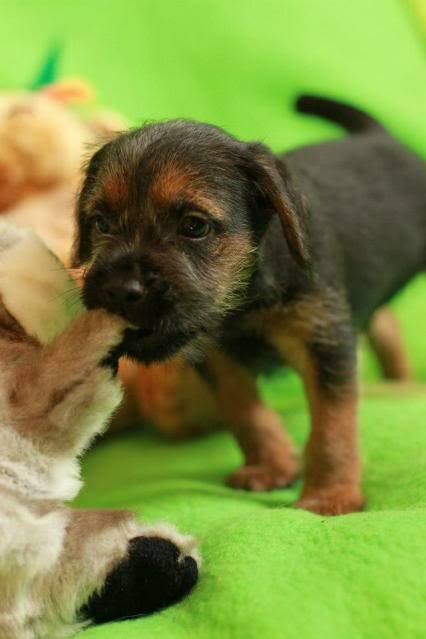 She has been an excellent mother, and her pups are now approaching the time to go to new homes (end September/early October) The pups are living with other dogs and cats, and Lottie is extremely good with all dogs and cats. Louis, One of the 3 big boys, the quietest and more wary of the 3, loves a cuddle, but not quite as adventurous as Wiggins and Boris. Wiggins, One of the 3 'big boys', chunky and the most forward dog in the litter. Very loving, adventurous, and shows little fear! Would recommend he is adopted by someone savvy with terrier breeds, to bring out the best in him, as he's going to be a super dog, but not for the faint hearted! Anyone up to a challenge? 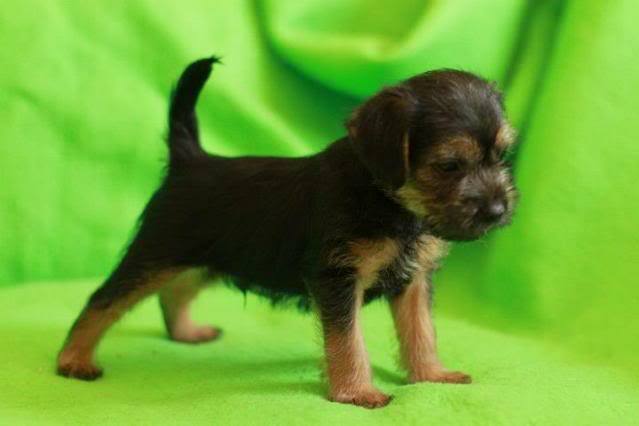 In time will make a fantastic little agility dog, will need firm, fair, consistent rules and he's going to be a beaut! Boris, One of the 3 big boys, chunky boy, neither too bolshy, nor timid, seeking new Mummy or Daddy to provide a life-time of cuddles. Mo, Petite boy, darker coat, longer fur, with 'rottie-type' colouring. VERY cuddly, always looking for someone to pick him up! 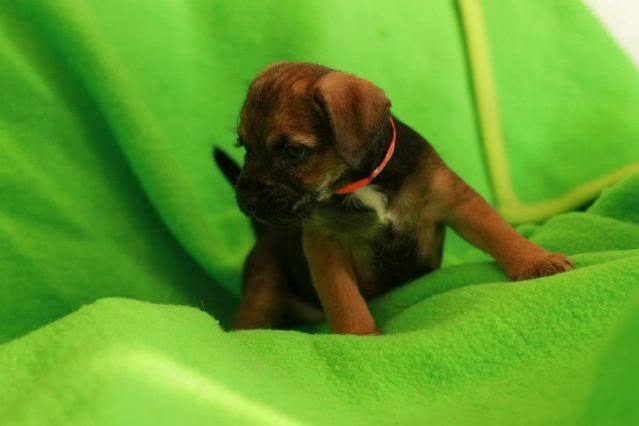 Needs new Mum & Dad to love him forever. Daisy, Petite and dainty and oh so cheeky. 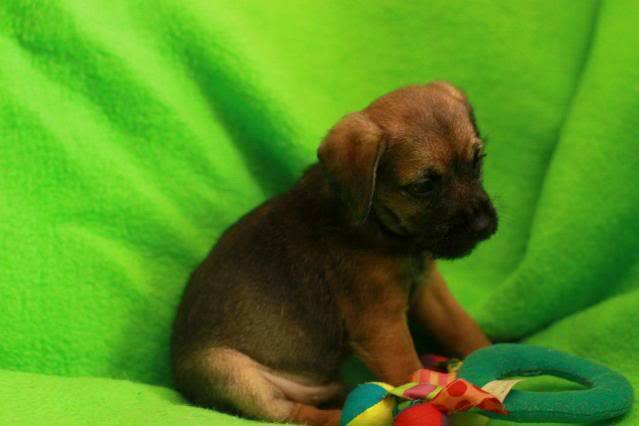 Looking for new Mum and Dad to love. 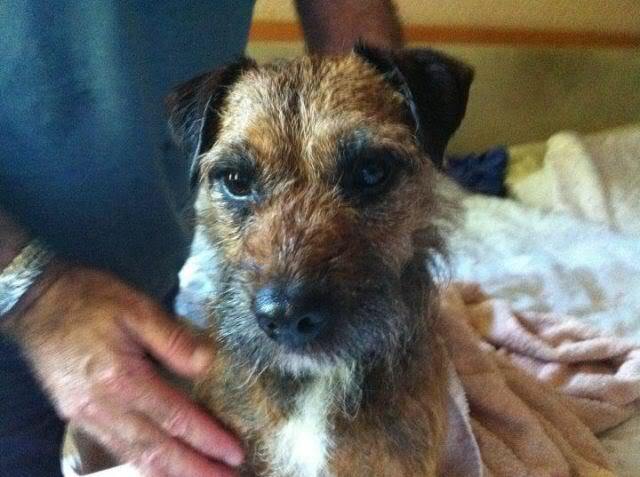 Return to wehelpanydog@yahoo.co.uk and then we can arrange a home check. Only after this will you be invited to meet the pups. 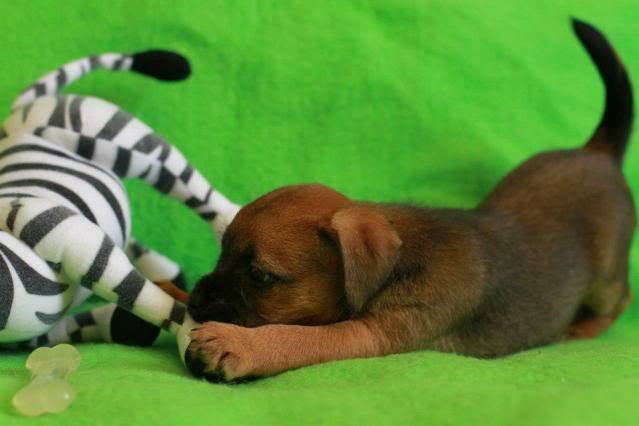 The adoption fee for these pups is £200. This includes vaccinations, microchip, and pre-paid neuter (at Eagle Vet Ramsgate Kent) as soon as they are old enough. We require all of the pups to be neutered at around 6 months and a contract to this effect will be signed. Please note WE ONLY REHOME TO KENT (or very close) as we take our rescue back up seriously, and Jo and I both work and have families, and we cannot be dashing all over the country if owners need help. I explain this as some people have been agrieved that we will not rehome all over the country. Sorry, but them's the rules! 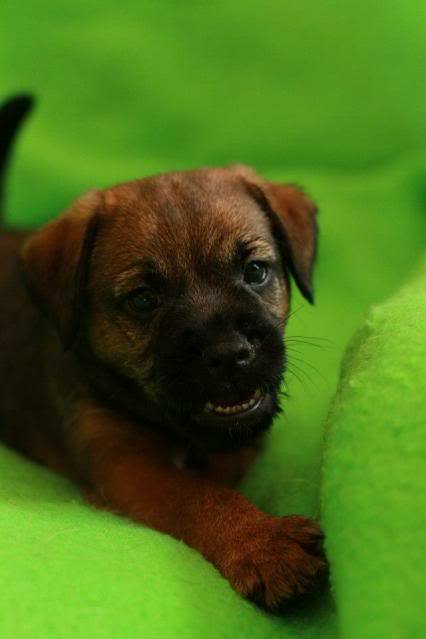 Re: Border Terrier X pups, ready in 2 weeks, rehoming in Kent only.